Apologies for the lack of bloggity bloggy-ness, ladies and jellyspoons. Production of my latest audiobook, Wings of Thunder, had a delay in December due to a plague (major cold) that hit many VO peeps including yours truly. I’ve been playing catch-up ever since. Now that post-production is complete, it’s time to make up for lost time! 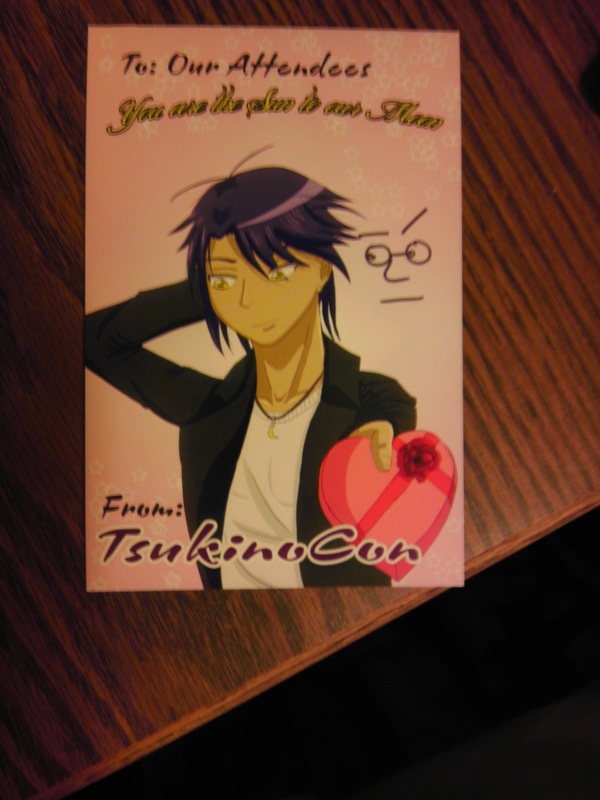 I was a guest at Tsukino-Con in Victoria, British Columbia over Valentine’s weekend… Hard to believe that was almost a month ago. Like I said, playing catch-up. 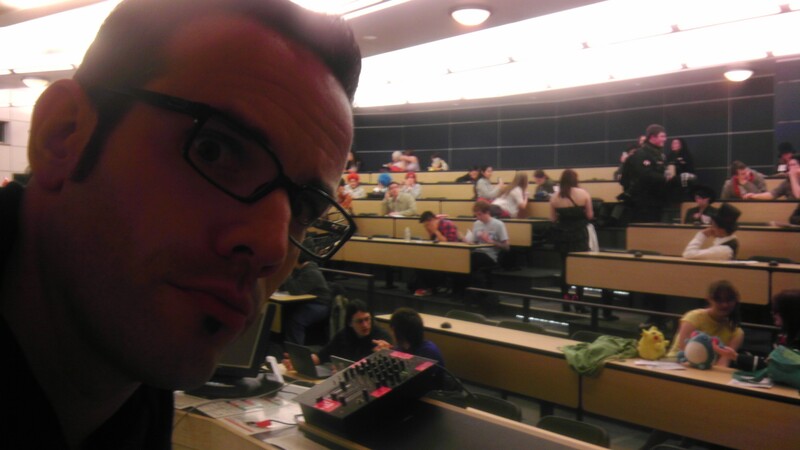 J. Michael Tatum and Curtis Arnott were also in attendance. When Tatum and I landed, we were greeted with a “Welcome to Victoria” sign by our guest liaisons, Dave and Greg. Dave immediately bonded with Tatum over all things Shakespeare and I quickly geeked out with Greg over music and scriptwriting… Things started off right. Greg drove us straight to our hotel to unpack and we got a look at the city. The scenery… Oh my, the scenery… Victoria is GORGEOUS! The architecture, nature, totems… Everything. 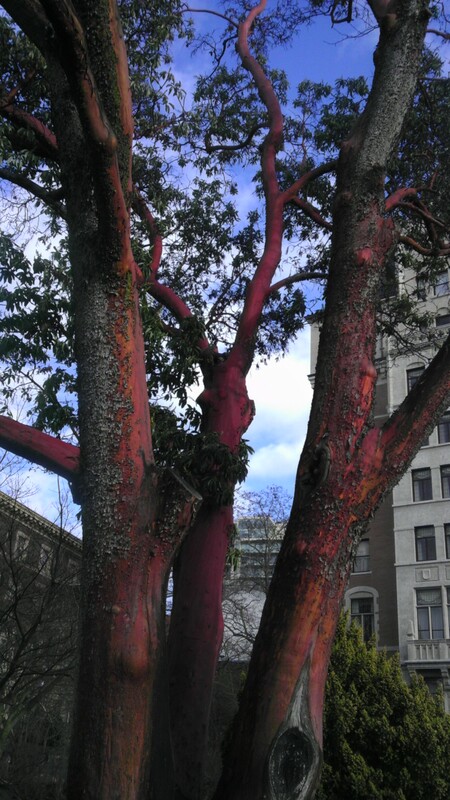 Perhaps I’ve been married to an Environmental Science major for too long, but I was more than a little happy when I came across an Arbutus tree, which is apparently native to Victoria. We stayed at Huntingdon Manor right off the wharf. All sorts of things were simply a walk away (whale watch tours, Royal BC Museum, restaurants out the wazoo, bars, clubs, antique shops, bookstores, etc). If you’re not familiar with the Dallas/Ft. Worth area, you don’t know how incredibly rare that is for me. I’ve missed being able to just walk somewhere, no car required. If a car was required, I could just hail a cab… Madness. MADNESS I TELL YOU! First places I checked out? Yep, you guessed it: Coffee shops and thrift stores. Got a humorless cup of joe at Serious Coffee and fell in love with pretty much everything at Sam’s Sideshow Boutique. 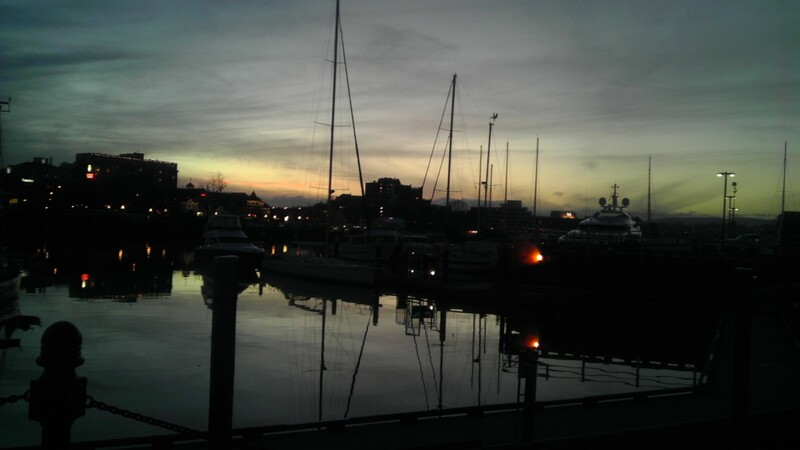 Good java and good threads… Oh, Victoria… How you spoiled me. Tsukino-Con itself was held at the University of Victoria, which is gorgeous. 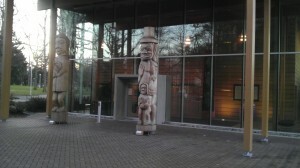 Again, I have to cite the architecture and totems. Seriously, the campus lay out was really cool. Though I’m sure we annoyed more than a few students. The staff was super friendly and welcoming. Sometimes staff can make or break a convention for me and they just made the weekend that more enjoyable. I just wish I’d had a chance to really talk to people. It’s like they were working or something. I guess I was too, though it rarely feels that way at cons. A major highlight was meeting Curtis Arnott (aka Takahata101). He is a member of Team Four Star and you may know him from his long list of credits in oh-so-many abridged series. He was an absolute delight to meet and I enjoyed getting to know him. We quickly got to know one another when we had to walk through the woods in the cover of darkness… Long story. Actually not really, just more fun to make you guess why me, him, Tatum, and others were walking through the woods late at night. It was hard not to feel like a teacher during panels because they were all held in classrooms. Needless to say, I was very grown up and didn’t draw horrible things on the chalkboard… What? Tatum and I did a voice acting panel with great participation. I was really happy with the questions we got from everybody. Plus, it was nice to do a panel with my now former co-host of That Anime Show. During my walk around the city earlier in the day I made note of a couple pubs. When I finished up a fantastic dinner with Greg & Curtis at Koto (mmmmm sushi), I decided to walk solo to Garrick’s Head Pub. Perhaps I should’ve thought more about going to a bar alone on Valentine’s Day. Yes, there is a story there. No, I’m not gonna tell you. My husband had a good laugh that’s for sure. 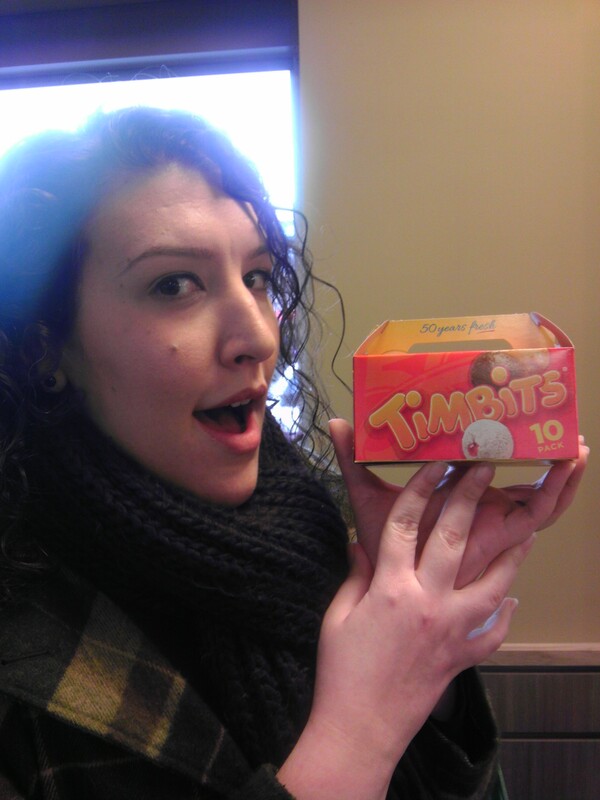 Did you know that if you go to Canada and don’t have at least three donuts from Horton’s that you’re actually killing a penguin?… I had no choice but to save those beautiful penguins (that will more than likely be eaten by orcas) and grab some Timbits. Delicious as always! This was my second time judging cosplay and I think it went much better this time. I love the way it was organized and, as we should all know by know, I’m obsessed with cosplay! So many great costumes: Scott Pilgrim ensemble, Adventure Time skits, Little Mermaid acapella number, dances, etc. It was a rare opportunity to be able to reward people for all their hard work. Oh, also judged a talent show the following day. So many talented people in Victoria! 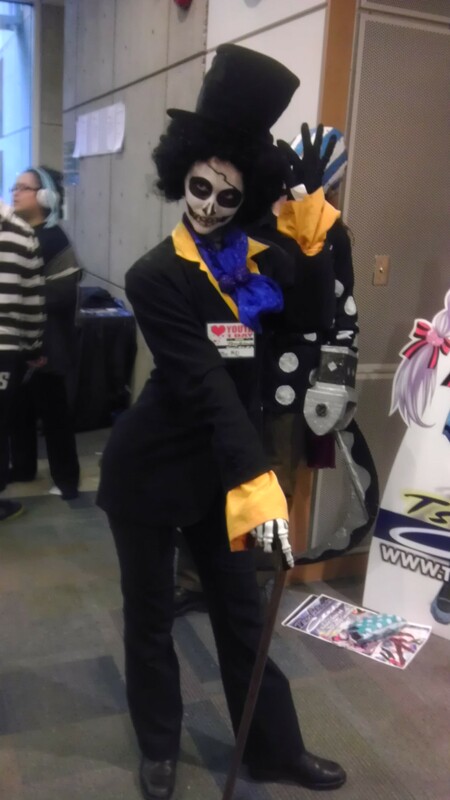 Funny enough, my favorite cosplay (no offense to those that participated, you were amazing I promise) was this Brook I spotted in the crowd. She was amazing and totally geeked when I told her I had to send photos of her to Ian Sinclair (who voices Brook in One Piece). All of us (guests, staffers, & attendees) were surprised by the arrival of Tracey Moore. You may know her better as Sailor Moon. Her positivity was infectious and she offered a lot of insight into the industry. She went out of her way to talk to us and I’m glad I got the chance to meet her. Tracey made Closing Ceremonies memorable for me and countless others I’m sure. The last time I was in Canada I crossed paths with a comic writer by the name of Kurtis Wiebe (Rat Queens, Green Wake, Peter Panzerfaust, Grim Leaper, etc). He introduced me to the magic that is Tim Horton’s and tried to get me to sing Bryan Adams on Rock Band… That was almost two years ago. I was super excited that he and his lovely fiancée, Shannon, made a trip to Victoria while I was in town. Got to catch up, have a few laughs, and yummy food. Hopefully it won’t be two years before I see that guy again. Here’s the part where I say “I could go on and on” and it’s true. SO MANY greats things happened at the con and outside it that I’m certain I’ll be annoying friends for the next few months. I just wish I’d had my husband by my side. 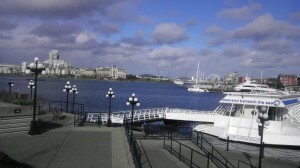 Oh well, guess I’ll just have to go back to Victoria. Major thanks to Greg and Dave for… Well, everything! You guys went above and beyond and I’m so grateful. To the other staffers and Tsukino-Con attendees, thanks for letting me be a part of such an amazing convention!